The Nordstrom Anniversary Sale 2018 Early Access is ON! As I mentioned in my Nordstrom Anniversary Sale Shopping Guide, this means it is officially time for Nordstrom cardholders to begin shopping! Since there are so many items in the sale that it can be overwhelming, I’ve narrowed it down to the best items. While the weather has been pretty warm lately, most of these items are geared more toward fall. However, it is always better to get them now because by the time fall comes, most of these items will no longer be for sale. In fact, many will sell out within the next week. AND…the items will not be on sale past August 6!! 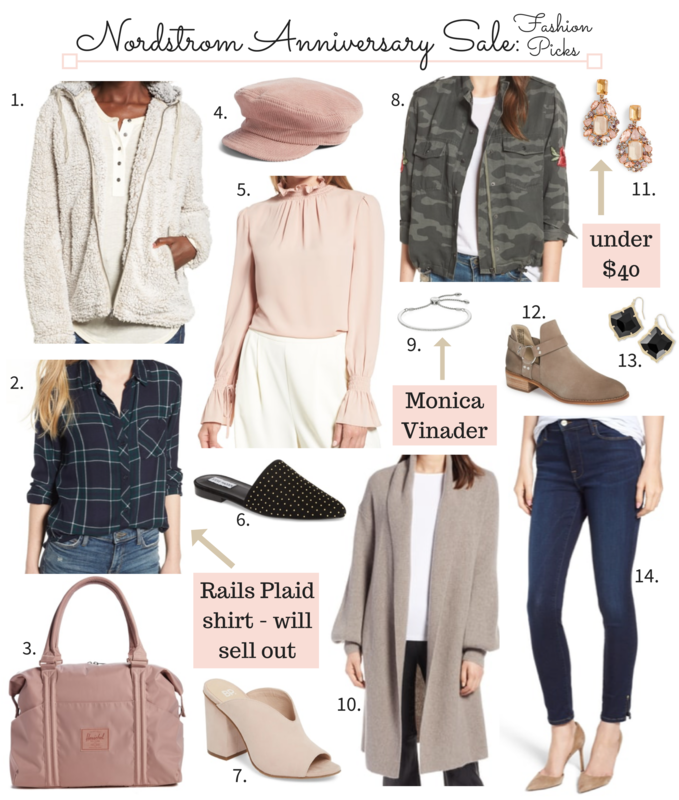 Blush seems like it is going to be a big color for fall, which, being the neutral lover I am, I’m so excited for. Some of my favorite blush items from the sale include this corduroy baker boy cap, this Vince Camuto smocked neck blouse, and this Herschel Supply Co. satin duffel bag. Also, if you’re looking for a cozy fall jacket, I highly recommend purchasing this fleece jacket before it sells out. It also comes in a pullover version. The pullover version was available last fall and it sold out immediately every time it was restocked. I highly recommend purchasing it asap! Perhaps what I’m most excited about this year is the shoes on sale! There are SO many cute pairs! I’ve got my eye on these suede open toe mules and these mushroom-colored booties. A girl can never have too many pairs of shoes, am I right?! If you missed my Nordstrom Anniversary Sale Shopping Guide, make sure to check that out here. I’m sharing some of my best tips for shopping the sale and more importantly, how you can get access to the sale prior to the sale going public.